Our guide to Seattle will help you find the best wine spots in Seattle Washington. Seattle is surrounded by water and mountains, and the city's attraction lies in the stunning views seen from the many vantage points throughout it's several neighborhoods. The awesome height of Mount Rainier is truly appreciated when seen from within the city, as it puts skyscrapers to shame from 200 miles away. These are views which indicate Seattle's easy access to outdoor recreational activities throughout the year. You will find plenty of lodging fitting every description including bed and breakfasts, neighborhood motels, suites, inns and downtown boutique and high-rise hotels. Seattle offers a full range of arts, cultural and sporting events and attractions, and an abundance of shops and restaurants. You will probably wish to sample these in an exploration of its downtown historic district and surrounding neighborhoods. There are tons of great wine spots in the city of Seattle, our city guide will help you find the best wine spots. You may have a hard time deciding what to do in Seattle, but we make your decision easy. 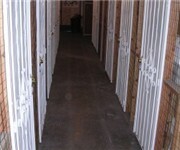 1720 N Northlake Way, (206) 829-2280 - The E.N.D. Wine Bar is a wine bar located in Seattle WA. 2118 NE 65th St, (206) 527-7147 - Crepe Cafe & Wine Bar is a wine bar located in Seattle WA. 3217 W McGraw St, (206) 327-9221 - Swirl Wine Bar is a wine bar located in Seattle WA. 4235 E Madison St, (206) 860-1569 - Impromptu Wine Bar Cafe is a wine bar located in Seattle WA. 6510 Phinney Ave N, (206) 420-8992 - In the Red Wine Bar is a wine bar located in Seattle WA. 1432 Western Ave, (206) 622-1880 - Market Cellar Winery is a winery located in Seattle WA. 3051 42nd Ave W, (425) 482-1801 - Randall Harris Wines is a winery located in Seattle WA. 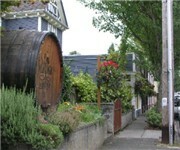 7354 35th Ave SW, (425) 424-3900 - Jardin Wines is a winery located in Seattle WA. 9320 15th Ave S, (206) 762-5581 - Nota Bene Cellars is a winery located in Seattle WA. 1934 Pike Pl, (206) 441-1307 - Pike & Western Wine Merchants is a wine shop located in Seattle WA. 2700 4th Ave S, (206) 682-7374 - Esquin Wine Merchants is a wine shop located in Seattle WA. 5436 Sand Pt Way NE, (206) 525-4340 - La Cantina Wine Merchants is a wine shop located in Seattle WA. 8218 Greenwood Ave N, (206) 706-7349 - Vineyard Wine Shop is a wine shop located in Seattle WA. There are plenty more wine spots in Seattle. 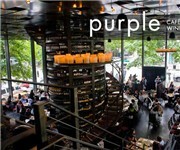 See all wine spots in Seattle Washington.